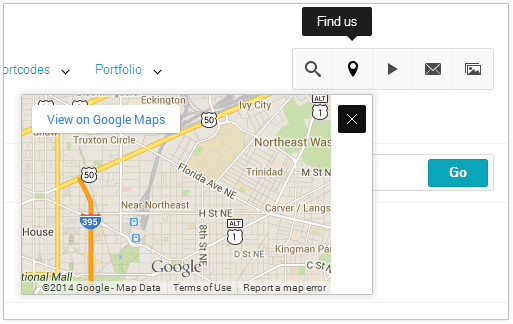 You can add a Google Maps embed code (or similar) here, or you can add an image of a map. Use the HTML field provided. For each area, you can choose to display the content (in this case a map) in either a Pop Out box or in a Slide Out box.